This Avery Precision Trimmer features a 65mm self-sharpening blade and a lockable, adjustable magnetic backstop for accuracy. A unique window in the cutter head also provides improved visibility when cutting. The trimmer also features printed paper and photo size guides for precision. 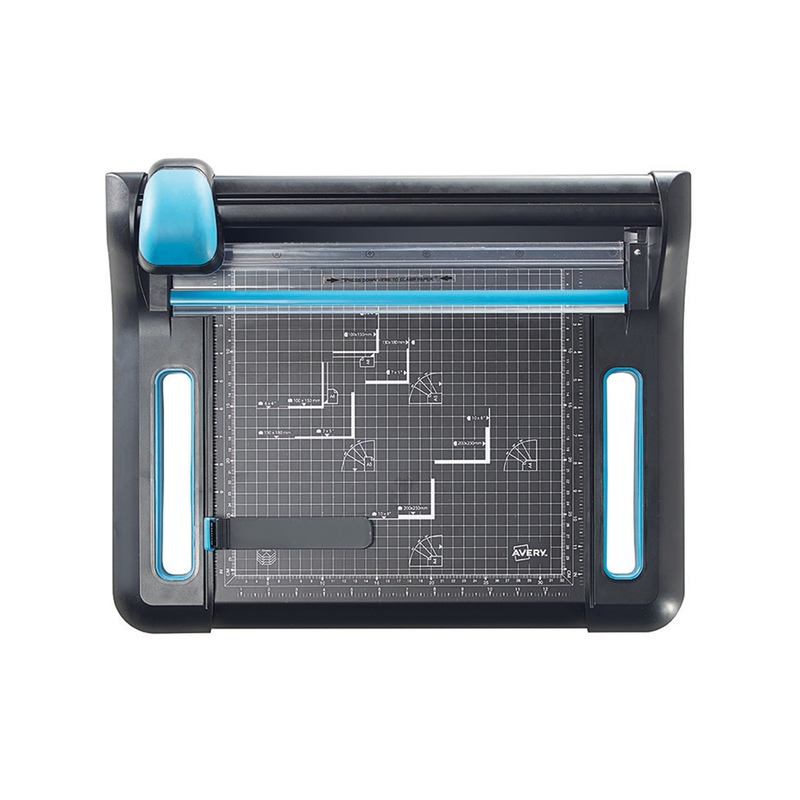 This A4 trimmer has a cutting length of 340mm and a capcity of up to 30 sheets.